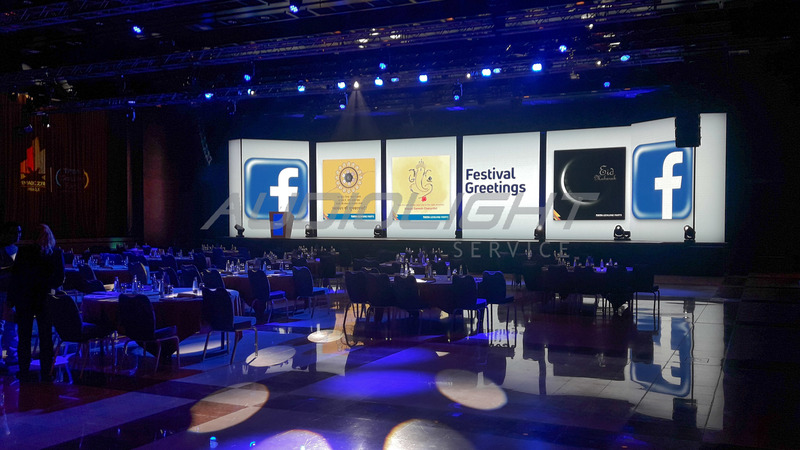 Conference with gala dinner | Audiolight service s.r.o. 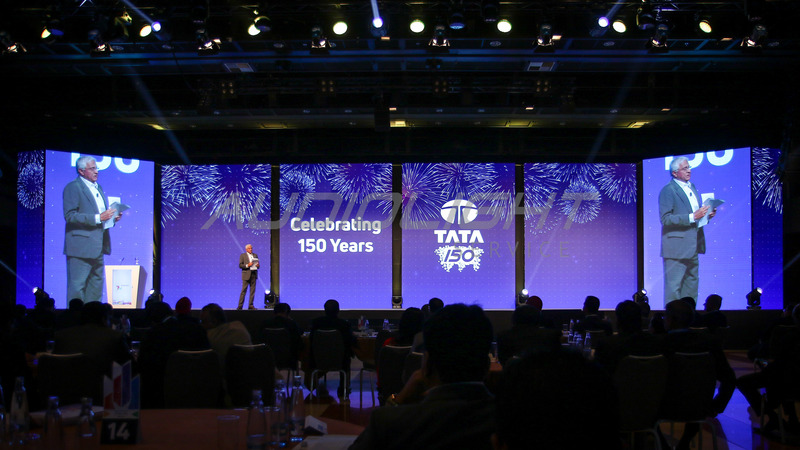 In cooperation with the Indian production, Audiolight Service has technically ensured the celebration of the 150th anniversary of Indian TATA. 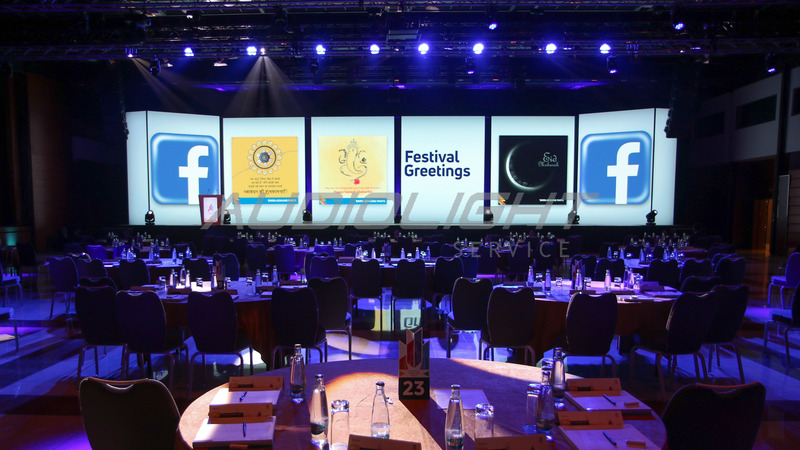 The LED wall (P-3.9 mm) of a total size of 99 square meters divided into 6 separate parts was dominated by this corporate event, which took place in the Hilton Conference Hall. Another point of interest was that each table had its intelligent light within Galavecera, which shaped the overall atmosphere of the event. Last but not least, the Indian dance group with a prepared "masking" cube performed. 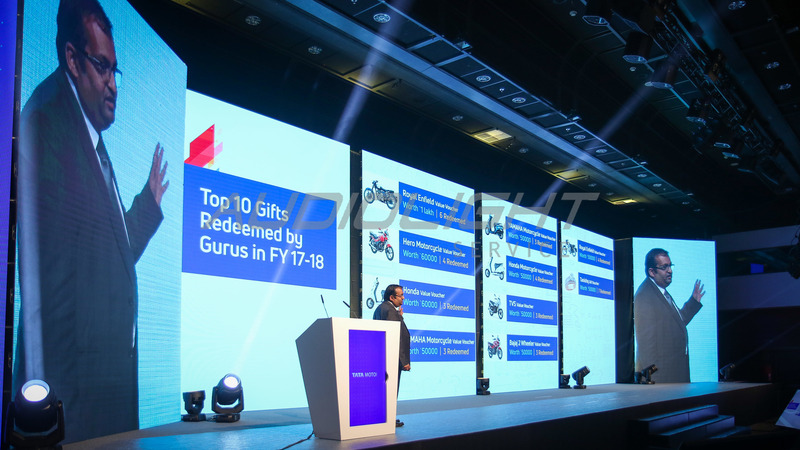 "Masking" provided a hanged data projector. 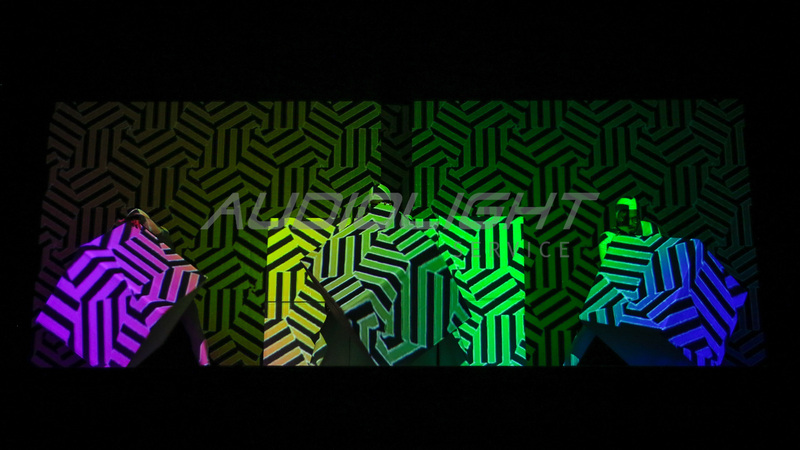 The dancers had the task not only to dance, but to move the cube so that they would display the prepared content, including the client's logo.